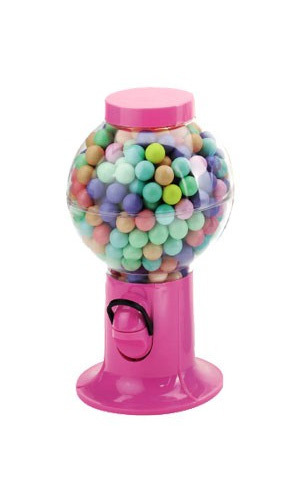 Gumball Candy Snack Dispenser Pink, 9.5"
This cute pink snack dispenser is a convenient and fun way to display your favorite candy or bubble gum. Standing at 9.5 inches, it can fit anywhere. Candy and Gumballs sold separately. Get gumballs or candy to fill this dispenser. Hello, what size gum balls does this machine take? This was the perfect little gumball dispenser for my niece, she loves pink!